We got over to Uncle Larry's a bit late. We brought them back porcini's from Italy. 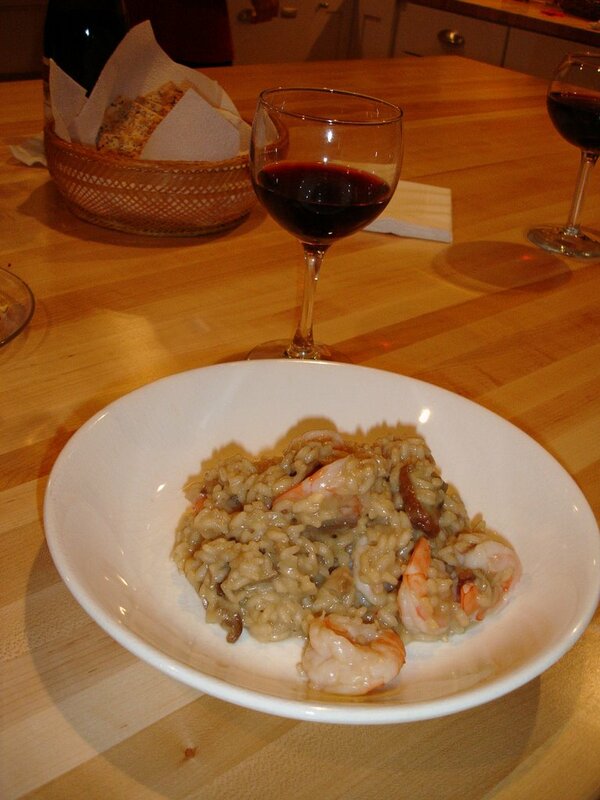 Uncle Larry decided to make a risotto with porcini and shrimp. It was very yummy.